"Graupel, slop, soup, powder the weather-wise Re-Tool Snap-T Pullover is fluent in the language of snow. 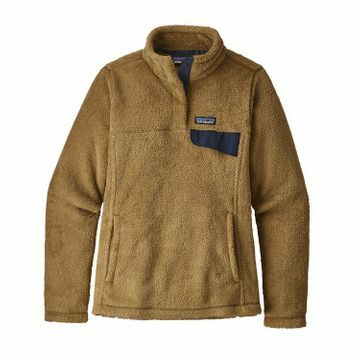 The jacket works well alone or layered, with lightweight, compressible deep-pile fleece (51% recycled) and extra-long fibers for warmth retention without bulk. The current incarnation is slim fitting, with feminine seaming and a hip length. Supplex nylon reinforces the placket, which has four hidden snaps; theres also a Supplex envelope-style chest pocket. With a side-entry kangaroo handwarmer. Made in Nicaragua and Mexico."